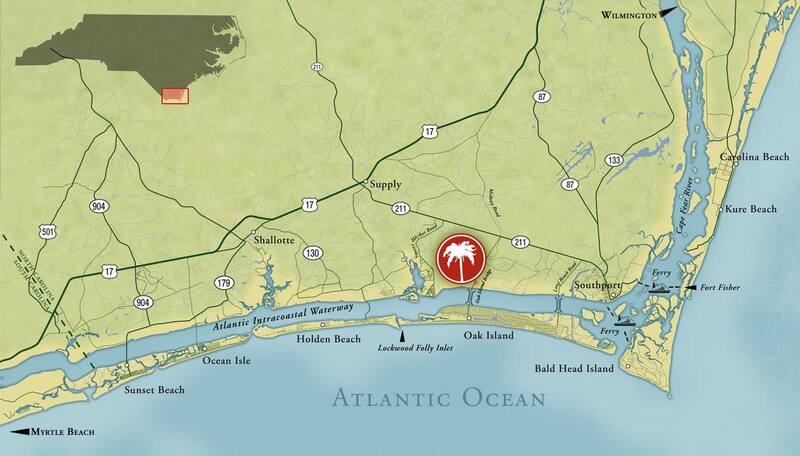 Seawatch at Sunset Harbor is the premier waterfront community along the southeastern North Carolina coast. This charming community by the sea will offer deep-water access to the Atlantic Ocean, Kayak and Canoe Clubhouse, nature parks and miles of preserved natural beauty reflective of seafaring towns of yesteryear. Here’s just some of what makes Seawatch so special: waterfront on the Intracoastal Waterway, award-winning architecture, a planned array of impressive amenities, winding roads with curves dictated by stands of live oaks and loblolly pines, and a kayak and canoe clubhouse on Mercer Mill Creek – a tidal river that meanders through the marsh. Nestled next to the quaint fishing village of Southport, North Carolina, and conveniently located along the popular coastal corridor between historic Wilmington, North Carolina, and the Grand Strand of Myrtle Beach, South Carolina, Seawatch at Sunset Harbor offers you an active, coastal environment designed to provide the finest lifestyle possible. Experience Seawatch at Sunset Harbor for yourself and see firsthand why this exceptional community was chosen by Coastal Living magazine as the site for one of their Idea Homes. Call 877.732.9282 or click here to learn about our Coastal Escape featuring 3 - days and 2 - nights on the sunny North Carolina coast. To preview the Seawatch at Sunset Harbor lifestyle, including area information and architectural styles, watch our video above or contact us today for more information. Visit southeastern North Carolina and enjoy the warm weather, pristine beaches, boating, fishing, local attractions, and most of all, the relaxation. The Seawatch at Sunset Harbor Coastal Escape Tour can make it happen. We offer you 3 days and 2 nights to enjoy yourself on an Escape which includes area accommodations, dining certificate for two, a boat excursion on the Intracoastal Waterway, and a private tour of the beautiful Seawatch at Sunset Harbor community.